Matan Mayer is an architect and a doctoral candidate in building technology at the Harvard University Graduate School of Design. His research focuses on novel manufacturing and assembly techniques of envelope and structural building components. He is a recipient of the AIA Excellence in Design Award and the Peter Rice Prize for innovation in structural design. The attempted departure of the Freedom Flotilla 2 from Greece and the ensuing political debacle has illuminated the geopolitical fault lines that litter the Mediterranean. 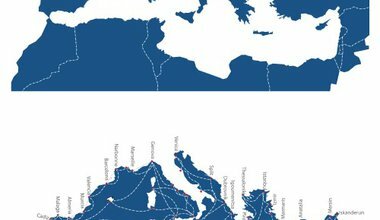 Conversely, it also reveals the potential of the Mediterranean Sea to provide an alternative narrative to a region troubled by political deadlock, economic stagnation and wars.